Does the Toshiba Kirabook justify its high price? Apple may have stolen the headlines recently with its new MacBook Airs, but what if you want an ultra-portable that runs Windows instead? 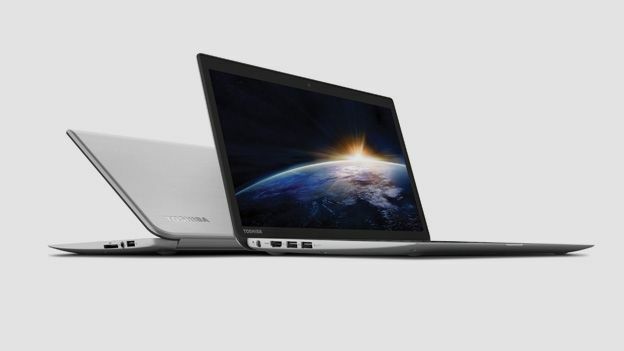 The Toshiba Kirabook packs great specs into a luxurious body that's guaranteed to turn heads. But it'll cost you a whopping £1,299. Is it worth the outlay? Let's find out. The Kirabook is a beautiful piece of kit. The magnesium alloy body feels durable yet luxurious, with a classy brushed finish. We'd be more than happy pulling this out of our bag in a café full of MacBook-toting hipsters. It tips the scales at 1.35kg, so won't weigh you down too much. That's the same weight as the same size MacBook Air, and lighter than the Samsung Series 7 Ultra. It won't take up too much space in your bag either. It measures 316 x 207x 9.5-19.8mm - that's 9.5mm at its slimmest point, though it balloons out to 19.8mm if you include the rubber feet. That's only marginally fatter than the ultra-slim MacBook Air. What does your cash get you? The Kirabook comes toting Windows 8.1 Pro, which is the latest version of Microsoft's OS. You can switch between the standard desktop and the tile interface, depending on what kind of mood you're in. It only comes in one size - 256GB of solid state memory - which seems a bit restrictive. It'd be nice to have a cheaper 128GB model as well, as that would appeal to way more people. At 13.3 inches, the screen is the same size as the Acer Aspire S7. It's a great size - big enough for watching videos, yet still eminently portable. The resolution is an eye-popping 2,560x1,440 pixels too. That's also known as QHD (Quad HD). It's the same resolution as you'll find on a 27-inch iMac, but in a much smaller size, which gives it a pixel per inch count of 221ppi. So everything looks ridiculously sharp. We watched a YouTube clip of two people base jumping off the world's tallest building - the colours were bold, and the aerial shots of Dubai were amazingly detailed. The screen also has fantastic viewing angles, which is great if a few of you are crowding around to watch two berks base jumping. When you're in the tile UI mode, the display acts as a touchscreen too. It's very responsive, registering our every press and swipe, though we've never been sold on a touchscreen in this form factor. It doesn't feel natural pressing a screen that's standing up. The Kirabook handled everything we threw at it without complaining once. Wild West shoot 'em-up Six Guns ran without a hitch, and the spaghetti western soundtrack sounded great through the Harman Kardon speakers. They're not going to compete with a standalone set, but they're fantastic given the size. The keyboard is very good too. The keys have plenty of give, and they're nicely spaced so you don't hit more than one at once. They're backlit as well, with a cool blue glow that really shows up nicely at night. One thing to note is the fan noise. After we'd finished gaming, the fans kept on whirring, which was a bit distracting. Toshiba reckons you'll get nine hours out of the Kirabook, and that wasn't far off in our experience - it lasted a little over eight, with videos, web browsing, emailing, and editing documents. So it should last you a working day, unless you're putting in a lot of overtime. There's a lot to like about the Kirabook. It's beautifully designed, super light, and the screen is a delight. The only real downer is the price. Toshiba should release a cheaper version, with a same resolution 11-inch screen and 128GB storage. But if money is no object, add on another star.